Age of Product's Food for Thought of June 12th, 2016 provides insight in how large scale agile adoptions can go wrong — SAFe failure, so to speak —, how to take “dysfunction” out of cross-functional teams, and how to put mindset into the Agile Manifesto. Ever wondered, why Spotify is not descending into chaos? Read on. We also explore five proven anti pattern that will ruin velocity as concept once and for all—a must-read for agile bean counters—, and we deal with the dreaded estimation idea. But wait, the news is not all negative. We learn, how information architecture can make sense of any product, and that customers putting trust in products is no miracle, but can actually be built into them. Last, but not least, we look into the future: Do bots have to be kind all the time? And what, given that technological progress is inevitable, about the future of humans? Where will we be in 20 years from now? Kevin Kelly knows more about our destiny and shares it in an interview with Chris Dixon of a16z. Finally, we end the 45th edition with a great interview, starring Walt Mossberg and Jeff Bezos. Have a great Sunday! SAFe failure: Tom Weinberger, SAFE practitioner, looks back at enterprise transformations, and he guarantees that Murphy’s law is quite alive and well. He shares lots of lessons learned from war stories of how large scale adoptions go off the rails with great ease. Eric Feng, general partner at venture capital firm Kleiner Perkins Caufield & Byers, hosts a panel of leaders of various functions at top tech companies to discuss best practices in cross-group teamwork and collaboration. Steve Denning hosted a a panel discussion at Agile Europe in Gdansk last week and asked: “Is Agile still Agile?”. Among the conclusions: The most important thing in Agile today is not even mentioned in the Agile Manifesto: an Agile mindset. Here are some excerpts from the discussion. Henrik Kniberg shares his slides from his talk about Spotify Rhythm at Agila Sverige. The talk is about Spotify’s current approach to getting aligned as a company. Wouter Lagerweij shares five proven ways to ruin “velocity”, no matter how nice and straightforward its concept may appear. Spoiler alert: Treat it as a mere number is one of those. Julie Zhuo, Facebook VP of Product Design, shares the three-question framework she uses at Facebook to help teams stay focused on what matters, and to build engaging products. Abby Covert on how to use information architecture to consciously position our products better, and improve our customers’ (and colleagues’!) experiences. John Cutler on eight core concepts that inevitably will lead to better products, once put in action. It will not be easy, and it will not be instant. You’ll probably get a lot of pushback and ruffle some feathers, but I promise that your product/service will benefit. Jory MacKay (via Medium): When products talk do they have to be friendly? Jory MacKay on the current conversational interface trend—as in chatbots, for example—, and if utility and less friction is the (user experience) goal, do bots need to be friendly? Source: Medium: When products talk do they have to be friendly? 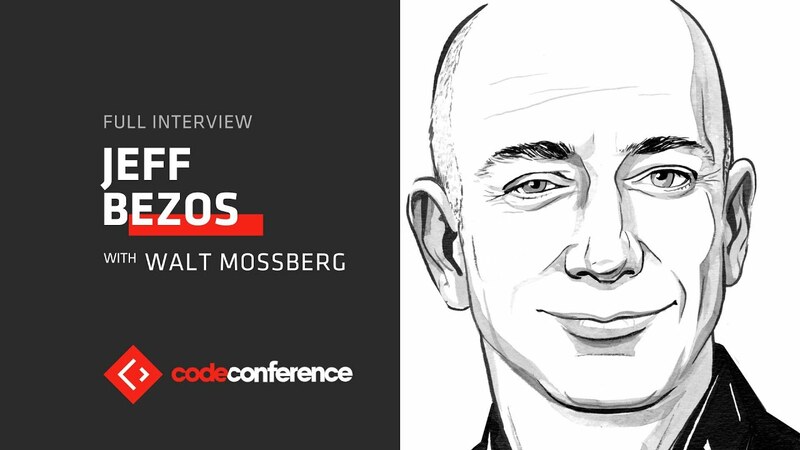 Walt Mossberg talks with Jeff Bezos about the "gigantic" potential of artificial intelligence to change everything from shopping to self-driving cars. Bezos also discusses his purchase of the Washington Post in 2013, which he says is transforming from a local to a global institution. He explains why he opposes both Peter Thiel's campaign against Gawker Media and Donald Trump's attempts to "freeze or chill" press scrutiny. Plus: Why Bezos's other company, Blue Origin, is trying to lower the cost of entrepreneurship in space. Kevin Kelly on why productivity—and even some forms of creativity—is for the robots in the near future. The irony is that while technology is inevitable, we humans are best suited for what is uncertain, inefficient, and full of failure. Machines may answer, but we will ask the questions. It’s not just what we want, but what technology needs.